Greetings, Inkerinos! It’s Juliet, once again reporting for guest writing duties here on Rotten Ink. The last few times I’ve been here, I’ve primarily talked about comics based on TV shows that meant a lot to me at one point or another. 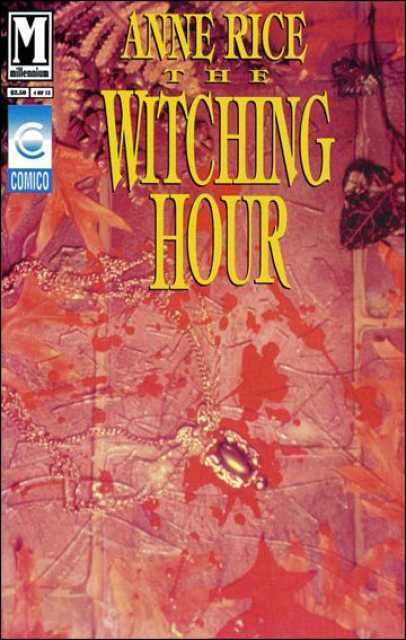 Today, we’re going to do something a little different and talk about a comic series that was not based on a TV show but something else that had a huge impact me on me, Anne Rice’s The Witching Hour. 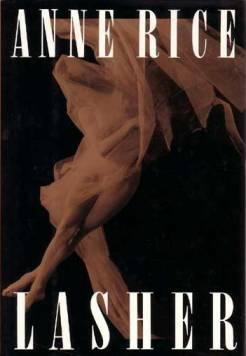 For many people, the instant association you make upon hearing Anne Rice’s name is Interview With A Vampire, and while I love that book and the series of books based around the original title, The Witching Hour and the subsequent Lives of the Mayfair Witches series (which did end up crossing over with the Vampire Chronicles books at a few points) remains my favorite of her work. 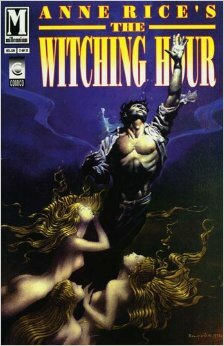 The Witching Hour was released in 1990. At the time Rice had already released several Vampire Chronicles novels, the Sleeping Beauty erotica trilogy written under the name A.N. Roquelaure (that I maintain is infinitely better than 50 Shades could ever dream of being, and by the way, a new installment, Beauty’s Kingdom, is being released this month!!! ), and many one-shot novels like Cry to Heaven, The Feast of All Saints and The Mummy or Ramses the Damned. 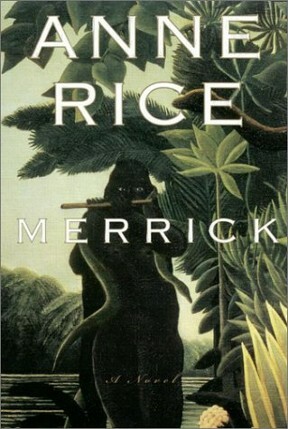 Before I tell you too much about the plot of The Witching Hour, I want to share with you a bit of how I came to read the book, and why Rice’s work is so special to me. My mother grew up in New Orleans, which is where Anne Rice is also from and where the majority of her books take place at least in part. There are few authors who hail from and/or celebrate New Orleans in their writing that I can recall my mom reading, talking about, and when I was old enough, sharing with me: Anne Rice and mystery writer Julie Smith. More recently I fell head over heels in love with the writing of Romanian-born Andre Cordrescu and was happy to return the favor in a sense by sharing with my mom his New Orleans, Mon Amore. 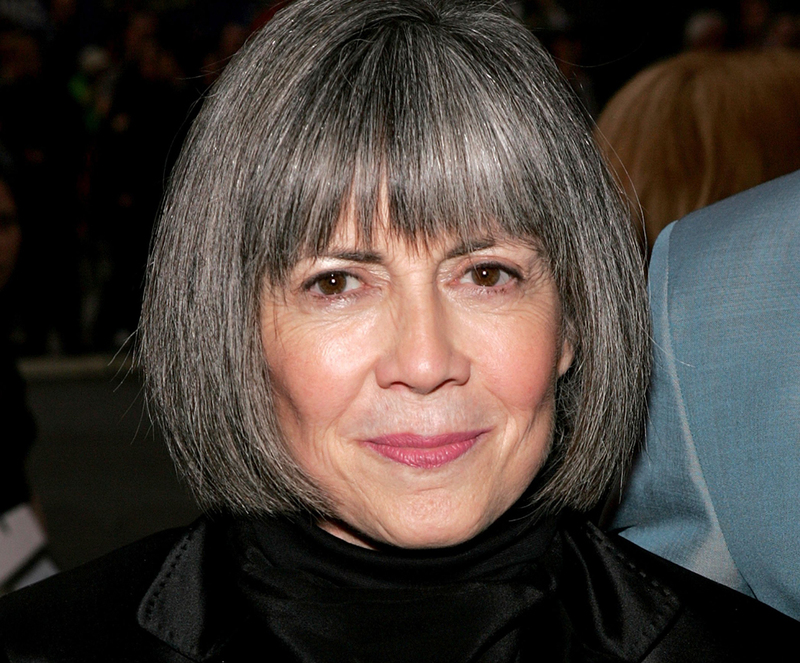 I knew who Anne Rice was long before I actually read her books and actually briefly met her prior to that as well. The occasion was a book signing here in Ohio at what was then a great, independent local book store (that’s now sadly owned by a chain), and I believe it was for the release of Servant of the Bones. Because we knew the lines were going to be insanely long, my mom and I went to the bookstore right after I got out of school. Two things stick out from that day: my mom and Anne Rice chatting for quite a while about New Orleans and seeing some of the best-dressed goth kids in my young life in line to have their books signed and thinking that I’d LOVE to dress that way. 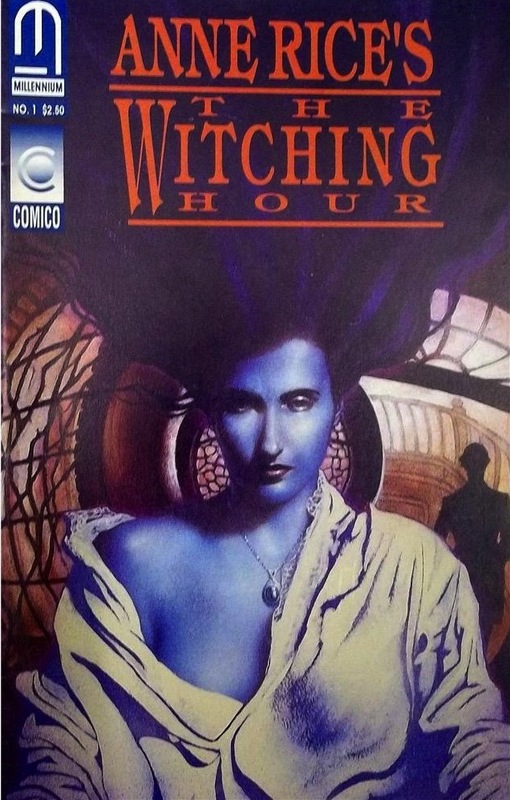 It would be only a couple more years until I read The Witching Hour, my first time being from the signed hardcover edition my mom had gotten that day. The book had both an immediate and lasting impression on me as both a reader and writer. 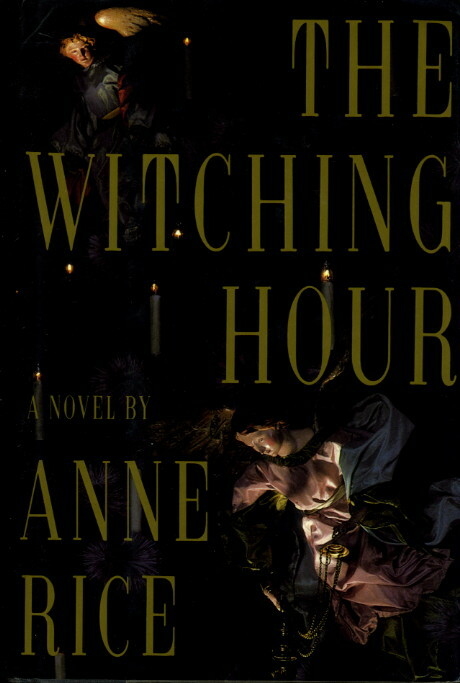 At the time, The Witching Hour was the first adult book that could be considered to be in the horror genre I had read, but even after I moved on to other works by other authors in the genre, it has a special place in my heart because the worldbuilding and family history that make up the story felt really akin to the numerous fantasy paperbacks I spend several summers checking out from the library. It was a perfect entrance into the horror genre for that, and the fact that it meshed gothic horror with a modern story and an added twist of ritual and magic (which is basically what I would later spend my college career studying…well, the Ancient Greek version of ritual and magic). I was already writing when I read The Witching Hour, but it’s the first book I can remember reading and thinking, “I want to read more things like this” and then thinking, “maybe I should write things like this” and examining what it was about the story and its structure that worked for me and thinking about how I could apply those elements to what I wanted to write and how to bring a story together to make it effective for a reader. This is the real house in New Orleans that the Mayfair mansion is based on it. Anne Rice lived there for many years, and yes, I’ve made it a point to go see it on every trip to New Orleans since reading the book. So what is it about? Without giving away too much, it’s about a family of witches. But it’s far more complicated than stake burnings and spells. There’s a mysterious being known as Lasher whose attachment to the family goes back centuries and a prophecy involving the thirteenth witch, all of which is revealed through present-day action and a comprehensive history of the Mayfair family compiled by a strange organization called the Talamascha. The Witching Hour spawned a sequel called Lasher, and a third book, Taltos followed. In 2000, Merrick began weaving the Vampires Chronicles and the Lives of the Mayfair Witches together. This would continue in Blackwood Farm and culminate with Blood Canticle, in which Rowan Mayfair and the vampire Lestat finally meet face to face. 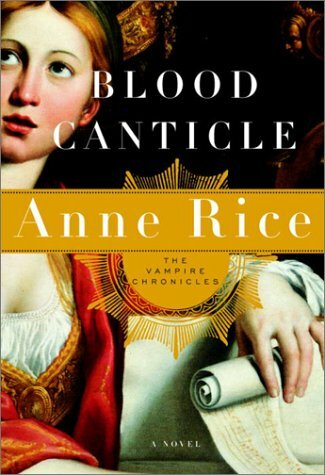 At the time, Blood Canticle was to be the final volume of both series as Rice was leaving the horror genre supposedly for good. 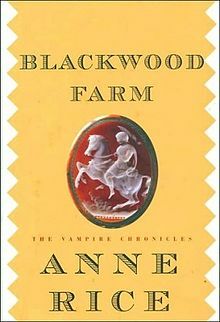 Now that she’s returned to her roots with Prince Lestat and a new volume of her Sleeping Beauty erotica series, I can’t help but wonder if (and get super excited at the remote possibility that) Anne Rice might give us another Mayfair Witches story at some point. Unlike the Interview With a Vampire/The Vampire Chronicles, which had a bit of merchandise and a higher pop culture status because of the films based on two of the books, The Witching Hour/Lives on the Mayfair Witches was pretty contained to the books themselves. The one notable, though to my knowledge unintended, tie-in was an episode of Star Trek: The Next Generation called Sub Rosa that had a plot very similar to the Witching Hour. 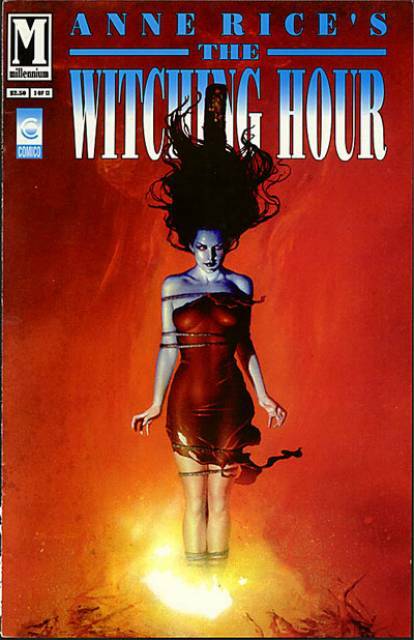 Millennium Comico began what was intended to be a 13 issue series based on The Witching Hour in 1992, perfect timing as Lasher was coming out in ‘93. We’ll talk about the fate of the series after the comics so remember that we grade these on a 1-4 star scale and look for entertainment value, quality of the story, the art and how true the books stays to the source martial. 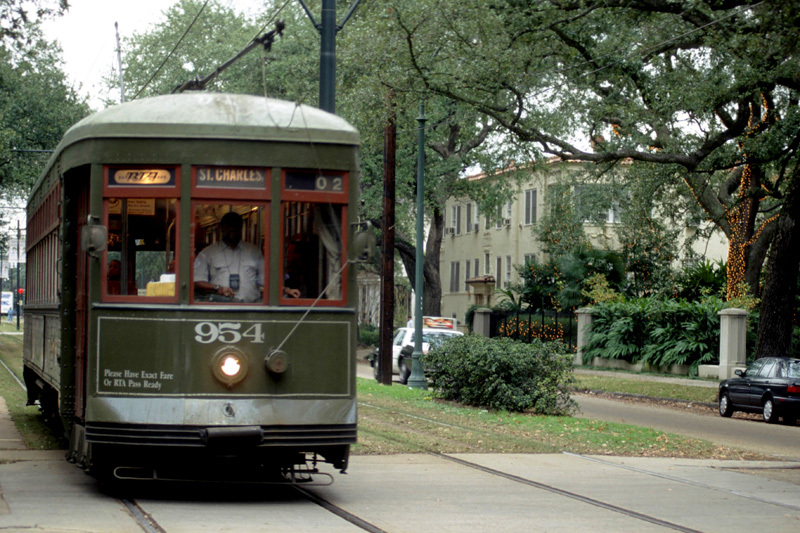 So let’s travel to New Orleans’ Garden District and meet the Mayfair Witches. This first issue opens with a doctor who’s been haunted by strange dreams ever since his meeting with a strange Englishman named Aaron Lightner who works for something called The Talamasca. In their conversation, the doctor had recounted to Lightner how he had first encountered the Mayfair family in their New Orleans Garden District home when he had been summoned to treat Deirdre, a young woman in a seemingly waking coma who was under the care of her three aunts. As the doctor began to explore treatment options with many roadblocks from the aunts, it was revealed that Deirdre has a daughter in California, and there are strange signs and mentions of “Lasher.” Then one day, a strange man appears on the front porch. He’s there to visit Deirdre and oddly, she seems to respond to him, even calling the name Lasher. But just as soon as he appears, the man disappears. Lightner tells the doctor that he’s recorded other stories, ghost stories, from the Mayfair house in which people claim to have seen the same man. We then move, via a tabloid cover, to California where Michael Curry is grappling with both his strange psychic powers and a recent near-drowning from which he was saved by a mysterious woman he’s now obsessed with finding. Michael reflects on his childhood in New Orleans, thinking he saw the ghost of a man in the Garden District and then blacks out dreaming of being visited by an Englishman there to hear his story. Next we meet Father Mattingly, a New Orleans priest who recalls Deirdre as a troubled child who claimed to have visions of visitations from a man who her aunts claimed was the devil himself. It’s revealed that Deirdre’s grandmother, Stella, was murdered by her brother Lionel – a crime that the family covered up, and Deirdre’s mother Antha committed suicide by jumping out the window of the house. There’s talk among the older priests of the legacy of the Mayfair women; their vast wealth and jewels, the fact that even when they marry they do not take their husband’s names, and, of course, the mysterious man who seems to haunt the family. Father Mattingly wanders to the Mayfair house and notices Deirdre on the porch, but is interrupted by Aaron Lightner who invites him to lunch. Later that evening, he passes by the house again on his way back to the rectory and notices a young man standing on the porch caring for Deirdre and muses that although he could not save her, he’s glad that this man is there to help her. As I’m sure you noticed, there’s A LOT going on in this first issue, and yet we barely got anywhere. I had kind of figured that would happen. Actually when I agreed to cover The Witching Hour comics for Rotten Ink, I remember telling Matt that I had no clue how they could possibly manage to turn the book into a coherent comic because, as I mentioned above, it’s massive and in-depth and spans years and locations and characters. This first issue, however, does a damn good job of it. It’s a really visual book with beautiful, at times water-color-esque artwork that I think really works for this type of story. A lot of attention was obviously paid to the way the visuals could do what Anne Rice’s prose does in terms of moving the story along and giving you the necessary information to start to piece together the story. I’m already concerned, however, as to how in the world they’ll ever get this story accomplished in a mere thirteen issues. I suppose that From Hell was originally done in eleven issues, but those had twice the page count of this first issue. I fully acknowledge that some things will have to be cut for clarity and space, but it’s not obvious to me what that will be — I’d assume it’s going to be a truncated version of the Mayfair family history as Rowan’s story will probably begin to take precedent as we get further into the series. Let’s get to issue two and see if that’s indeed the case. Issue two begins with Dr. Rowan Mayfair watching a TV broadcast featuring an interview with Michael Curry where he implores the woman who saved him from drowning to come forward so he can thank her. Rowan recounts the events of Michael’s near death experience, but we learn that she has secrets of her own. Like Michael, Rowan is plagued by abilities she cannot control; she can kill people via some kind of telekinesis, which we see play out in a flashback from her childhood. Nevertheless she finally agrees to meet Michael, and with Aaron Lightner looking on from the shadows, the pair form an immediate connection, sharing their deepest, darkest secrets through conversation and their powers which give them an almost psychic bond. But, Michael is due on a trip to New Orleans, which has Rowan very apprehensive because she was born there but forbidden by her adoptive mother to explore her family history. 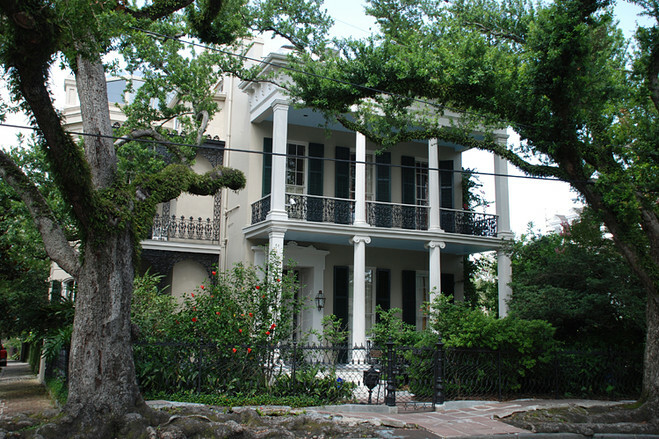 Michael’s first stop in New Orleans is to the Garden District house from his youth, the place where he saw the so-called ghost, the moment he attributes to awakening his powers. At the gate, he sees the man, unchanged from his childhood, and then the figure comes at him, passing through him and confirming that it’s some kind of otherworldly being. Aaron Lightner is there to witness the whole thing and informs Michael that it’s imperative that they talk. 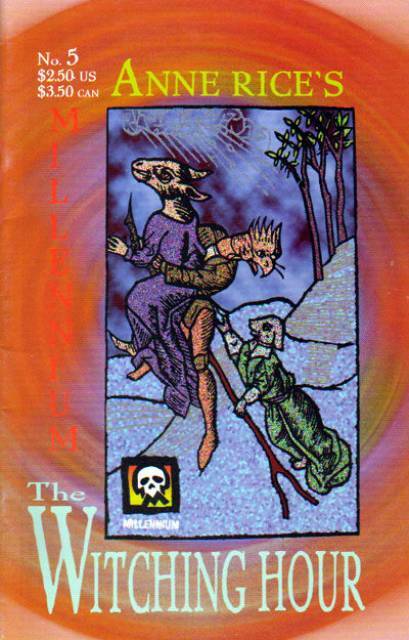 The book ends with a page of text about a dark ages magician and alchemist called the Talamasca, the first historian of the mystic and the order that grew out from his followers, saying that only its most experienced members deal with witchcraft. And here we go! At least I think so. I hope so. Okay, I should back up. This issue begins by establishing Rowan and Michael, their powers and their relationship. It’s a lot to cram into a few pages, and I wonder if people who’d not read the book would understand the depth of the connection and all of the psychic powers information. Then again, I’m not sure if this is the type of comic that would have gotten a lot of attention from people who hadn’t read the book. Maybe…maybe not. It’s odd because this issue felt both slow and rushed until the very end – then it was just right. When Michael finally arrives in New Orleans and has the experience at the house, I was excited. Perhaps it’s because that’s the first real moment of action in this issue that wasn’t just a flashback or vague psychic vision. Actually, and this going to sound weird, the text-only page was the most exciting for me. I adore the Talamascha. I’m a bit of a sucker for secret societies that study the mystic, and I love that this is one of the things that connects the Mayfair Witches series to Rice’s Vampire Chronicle books (David Talbot is a high ranking member). I haven’t found any evidence to prove this theory, but I’ve often thought that it was the inspiration for the Watchers Council in Buffy the Vampire Slayer. 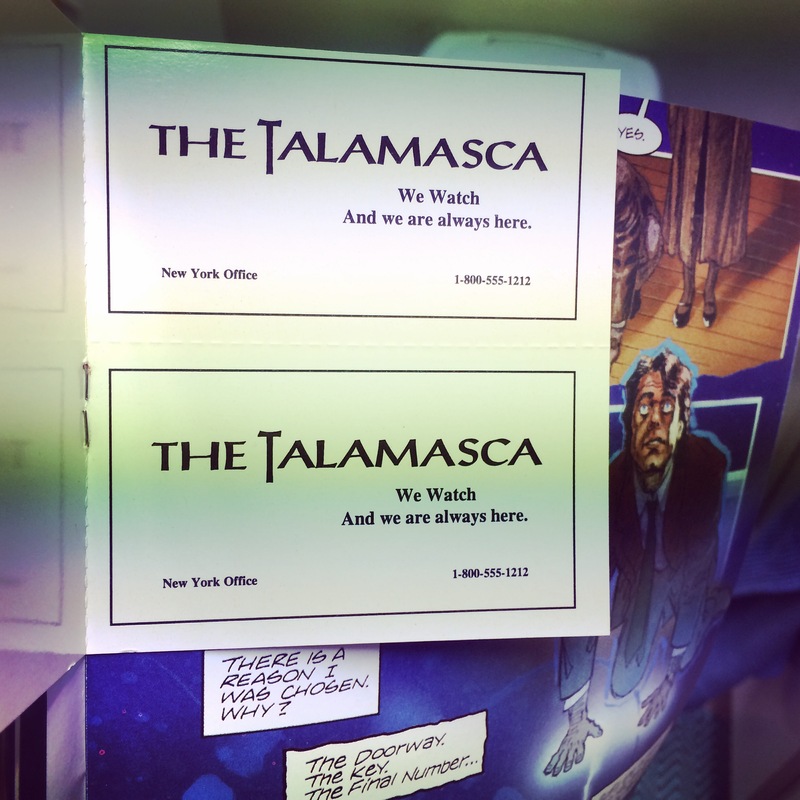 To make things cooler, this comic included tear-out Talamasca calling cards AND my copy had both cards in tact. How cool is that?! Check out the picture above. Speaking of pictures, the art in this issue was good. It definitely wasn’t as clever in the layout department as the last one, but still a very solid offering. Let’s get to the next one. Rowan awakens from a dream about an incident in her past at a strange hospital. As she catches her breath, she realizes that someone is standing outside her house and comes face to face with the vision of a man, the same man, she realizes, that Michael has been seeing. Meanwhile in New Orleans, Aaron Lightner formally introduces himself and the Talamascha, explaining that Michael holds a enormous power and mistakenly thinking that it was Rowan who sent Michael to New Orleans because the infamous belongs to the Mayfairs and will be hers. Back in California, Rowan receives a call from one of the aunts who had cared for Deirdre, her mother, who is now dead. Rowan is torn between joining Michael in New Orleans and keeping the promise she made to her adoptive mother to never set foot in the city. Aaron continues to explain what he and the Talamascha know about the Mayfair family, saying it’s strange that the man made himself visible to Michael because he ought to be after Rowan. He goes on to say that the Mayfairs are a family of witches and that the man has been attached to the family for centuries. We see, in a flashback, the circumstances under which Deirdre was made to give up Rowan and learn that there’s a green jewel that’s passed down to the Mayfair women. Aaron becomes panicked upon learning that Rowan is traveling to New Orleans for the funeral and gives Michael the Talamascha’s journals on the history of the Mayfair Witches. And here we have a shift from the first part of the book to the second. But first let’s talk about covers. The cover for this one is a bit confusing to me because it’s kind of more appropriate for what I assume will be the topic of issue 4, the original Mayfair witch. Regardless, there’s A LOT happening in this issue, and we move back and forth from Rowan in California to Aaron and Michael in New Orleans with flashbacks sprinkled in. I think the back and forth worked really in terms of the page layout – without much need for explanation, the reader could move seamlessly from place to place. That can be challenging in the wrong hands, even with visual support from the artwork, which was the most straightforward/regular comic style we’ve seen in the series so far. As I’ve mentioned before, I’m curious about the pacing of the issues. It’s taken us three issues for the set up, which seems about right, but the history of the Mayfair Witches is pretty exhaustive so I’m curious how they’ll pull off that AND the actual story of Rowan, Michael and Lasher. So let’s get to issue four and see what happens. 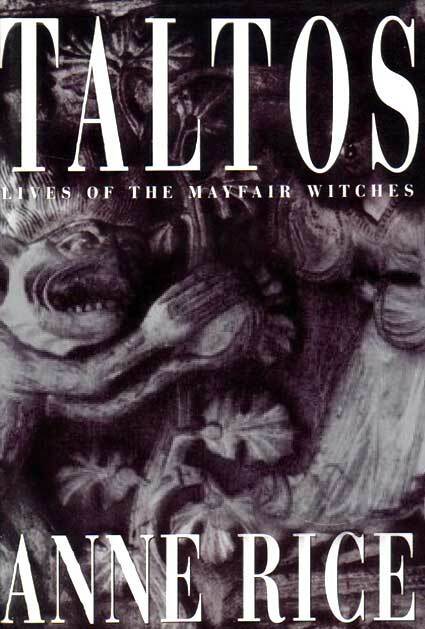 The history of the Mayfair Witches begins as told by Petyr Van Abel, an agent of the Talamascha in the 17th century. Petyr arrives in a small French village, where a comtesse named Deborah is to be burned in the square as a witch. As a child, Deborah had escaped Scotland with the help of Petyr after her mother, Suzanne was also burned for witchcraft. On their journey from Scotland, Deborah refused to speak, save for conversations in the night with someone or something Petyr could not see. At the Talamascha motherhouse, Deborah had exhibited a strange power, the ability to read the mind of anyone she touched with bare hands through visions, a similar power to Michael’s, and she calls upon a being known as Lasher. Petyr finds himself falling in love with Deborah, but his loyalty to the Talamascha prevents him from acting on his affection. Later, when she’s about to be married, Deborah visits Petyr for one night of passion, and he does not see her again. Back in the village, we learn that Deborah’s daughter Charlotte has escaped the village and it’s persecution, and Petyr vows that he’ll do anything to save Deborah including calling upon “her devil” if need be. 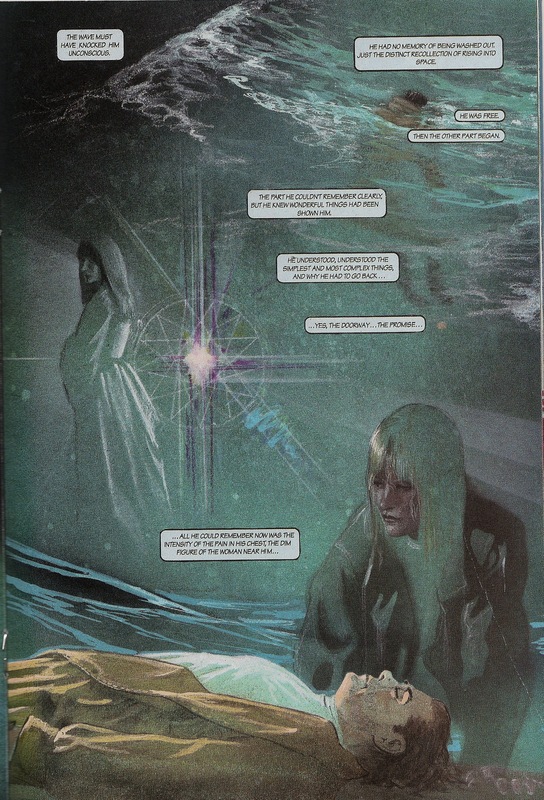 We end in the present with Michael realizing that Deborah is one of the figures that’s been plaguing his dreams and realizes that Lasher is the first word he said after coming back to life from his near-drowning. I adore the history of the Mayfair Witches so it was fun to finally see it getting under way in the comics. It’s a very detailed story, but I thought that for the most part, the visuals helped move things along. The only flaws with the artwork were that the handwriting sections of Petyr’s journal (used as narration) were a bit hard to read and transitions between years and places weren’t as obvious as they were in the last issue. A couple of times, I had to go back and re-read a section to be sure I was in the right place. Again, not sure how that would go for someone who hadn’t read the book and was coming at the story completely fresh. Speaking of the book, this issue did a great job of capturing the feeling of unraveling the story of the witches along with Michael as you and he read the history. So let’s find out what happens to Deborah and where her daughter Charlotte ended up in issue five, which came out 3 years after issue 4…..uh oh. It’s the morning of Deborah’s execution, and she’s brought out the village square to burn for her crimes. She claims innocence but then summons Lasher whose presence is made known in a violent storm. Deborah is transported to the top of the highest building in the town and then throws herself from it, falling to her death at Petyr’s feet. Back in the present, Rowan has arrived at her mother’s funeral and is overwhelmed by the large, strange Mayfair family. Aaron Lightner arrives to apologize for Michael’s absence and accompanies Rowan to her mother’s coffin. We return to Petyr’s narrative as he arrives in Port Au Prince to visit with Charlotte, who’s revealed to be his daughter. Charlotte’s husband has fallen ill, and she seduces Petyr in the hopes of baring a daughter who can also communicate with Lasher. Ashamed of what he had done, Petyr leaves the house later that night and sees Lasher himself, who tortures him with visions of Deborah and the undead. Petyr’s final letter to the Talamascha reveals that he’s gone mad, terrified to leave Port Au Prince for fear of Lasher. Back in the present, Aaron tells Michael that with Petyr’s death, the Talamascha decided not to engage with the Mayfair’s directly, but simply to observe them from afar, which is what they’ve been doing ever since. He then tells him that it’s imperative that Michael continues to read the history. …..And that’s it. Seriously. The series just ends. Not only do we miss out on the rest of the history of the Mayfair witches, which is an awesome story, but we basically entirely miss out the whole Rowan-Lasher story, which is a big freaking deal because (spoiler alert): she’s the thirteenth witch. The writing was all over the wall, or rather, the page with this one. First of all, it came out three years after the rest of the series and was only labeled as issue #5, not #5 of 13 like the others. The artwork was different than (though trying to mimic the style of) the rest of the series, and even the paper seemed cheaper. It strikes me as more strange that they even bothered with a slapped together fifth issue so far after the fact rather than just never continuing the series after issue 4. After waiting that long, it must have been such a disappointment to original readers/fans of the series. Obviously they didn’t know that they wouldn’t finish it when the book was planned, but part of me wonders if it wouldn’t have been wiser to do a series focused exclusively on the history of the Mayfair family rather than incorporating the modern story into the book. This was a disappointing end to a promising series, and it feels like an extra shame because there’s so little out there about the Witching Hour. Perhaps if another Lives of the Mayfair Witches book does come out, a great modern company like IDW or Dark Horse will take on some kind of comic adaptation of one of the stories. Here’s hoping. 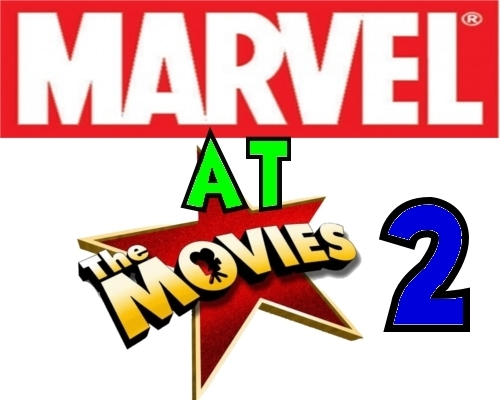 While I go back to my bookshelves, it’s time for you to join Matt on a field trip to the Rotten Ink theater for another installment of Marvel at the Movies, coming up next time.